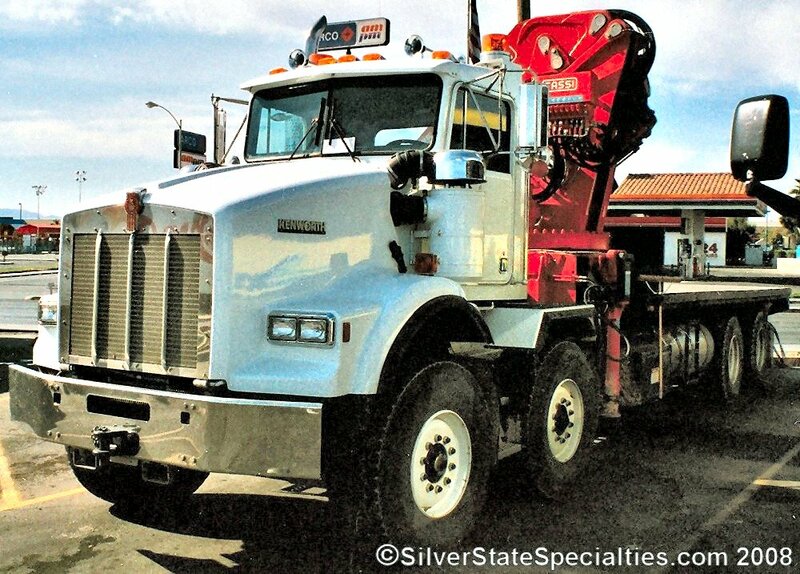 Kenworth T-800 8x4 twin-steer flatbed truck with folding crane. Truck was photographed in Las Vegas, Nevada, in the mid-1990s at a local truck stop. Note the cold-weather air intakes, which are very unusual for Southern Nevada; most likely this vehicle was in transit to a much colder northern clime. Photo is scanned from a print.